Ngoo is a clean, modern, and fully responsive HTML Template. 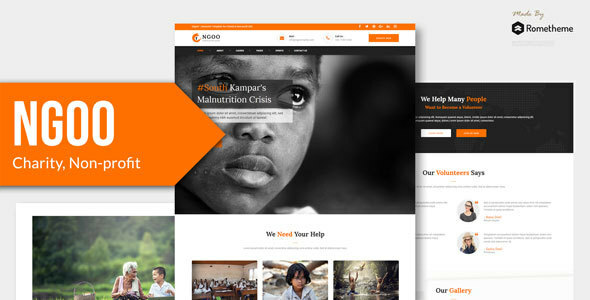 it is designed for charity, non-profit, fundraising, donation, volunteer, businesses or any type of person or business who wants to showcase their work, services and professional way. Ngoo Template’s uniqueness is due to its amazingly beautiful designs and easy to use Website template solution that maximizes user satisfaction. It is built using bootstrap 4.2 framework, works totally responsive, easy to customise, well commented codes and seo friendly.